The seemingly inexorable rise of Queensland’s small breweries has been one of the big stories in the beer world in recent years. In the state’s south east, it seems barely a week goes by without another brewery opening, while the scene in Far North Queensland is coming alive too; just last month, Hemingway’s Brewery opened a second site in Cairns, right by the city’s cruise line terminal, joining the owners' first brewpub up the coast in Port Douglas. Yet, sitting between both regions is a brewery that predates the explosion of the past few years. Indeed, having opened its doors in 2001, Townsville Brewery is fast approaching legal drinking age when most of the other breweries in the state are barely out of nappies. When Carey Ramm opened the brewery, Australia’s beer landscape was worlds apart from how it looks today, with Little Creatures in the early days of its mission to introduce Australian palates to the wonders of American hops. 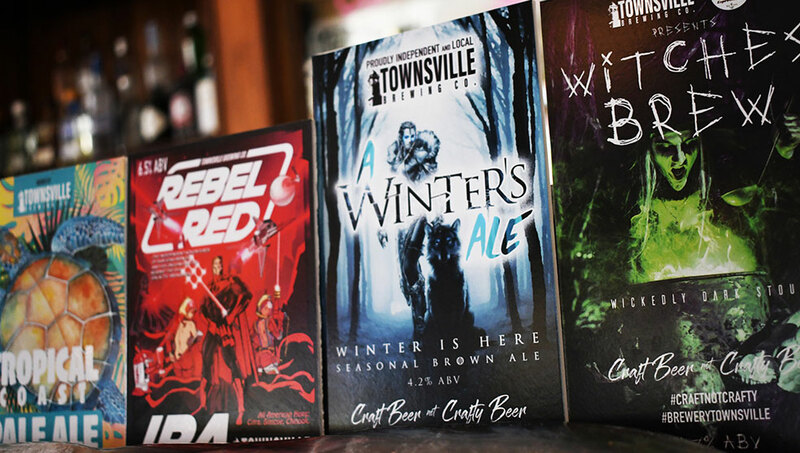 Townsville Brewery, serving the people since 2001. 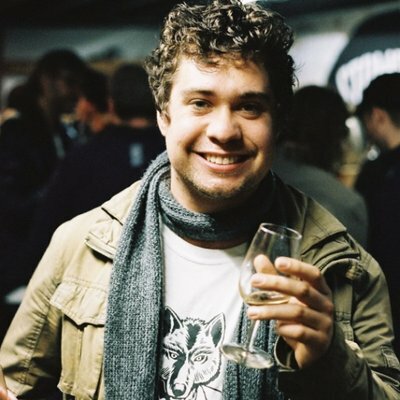 Like many before him, Carey fell in love with good beer while travelling through America and wanted to create something similar back home in Townsville. “We bought the old post office, which is right in the heart of the city, and decided to turn it into a brewpub after some of what we’d seen in the USA,” he says. With no brewing experience, and with far fewer brewers in the country than there are today, Carey looked overseas for help bringing local beer to Townsville. At Ireland’s most famous brewery, Guinness, he found Brendan Flanagan. “Basically, we convinced him on a very cold and dreary day to move to Townsville,” Carey says. The brewer was given pretty much free range over the beers, though the focus was always centred on ensuring the locals would accept what they were brewing. Evidence of changing tastes can be found along the Townsville Brewery bar. For Carey, the goal for Townsville Brewery was to create a community hub, a place for locals to enjoy not only fresh beer but also local food from the brewery’s restaurant, the aptly named Malt. 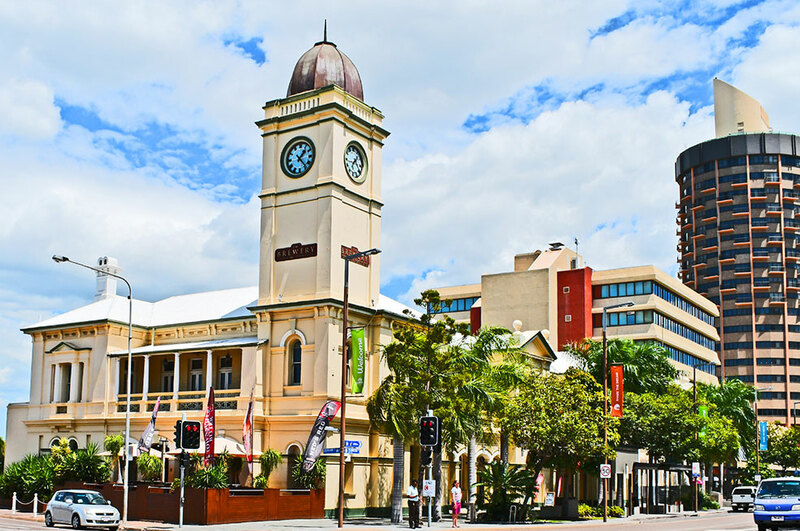 After all, despite Townsville’s proximity to picturesque Magnetic Island, the city remains largely a working town rather than a tourist destination. 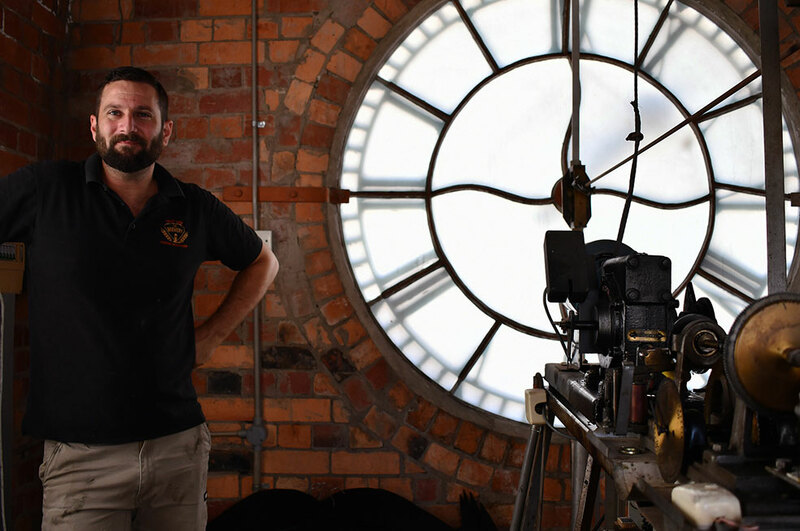 Over its 17 years, change has been embraced, particularly when it comes to introducing new styles, with that responsibility currently in the hands of Sam Lloyd, who joined the brewery three years ago and has since taken over as head brewer. Since then, in keeping with customers' evolving tastes, he's added the likes of a red IPA and a gose to the brewery’s limited release offering, often bearing the "Craft Beer not Crafty Beer" tag line. “The easiest kind of marketing is to just listen to people," Sam says. "It’s very direct when it comes straight over the bar. 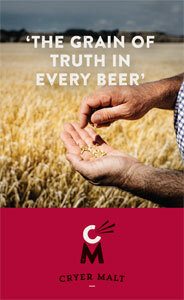 Townsville's head brewer Sam Lloyd. For all the change on the beer front, Carey says the intention is to keep the brewery in the family and as a key part of the Townsville community. “My dad passed away when we were building the brewery and we have a beer named after him,” he says, describing the brewery as "part of the legacy I’ll leave to my children and the community." He adds: "We’ve established our roots, grown with the community and worked with the local bars. We’ve learnt over twenty years it’s about growing the pie rather than taking a slice. “The building's been loved to death; it’s getting more use now than in the 120 years it was a post office. 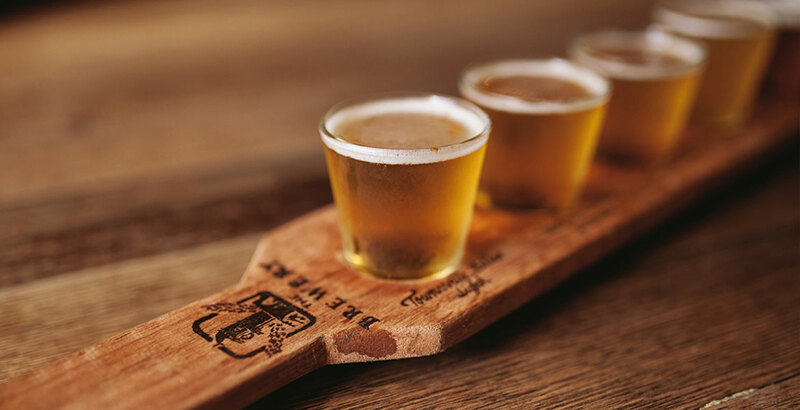 You can read about the FNQ beer scene here, check out our guide to the breweries of the Sunshine Coast here, or see where some of the newest operations in and around Brisbane see the industry headed here. Townsville Brewery is at 252 Flinders Street, Townsville.